All exposed parts are of S.S. to prevent rusting. 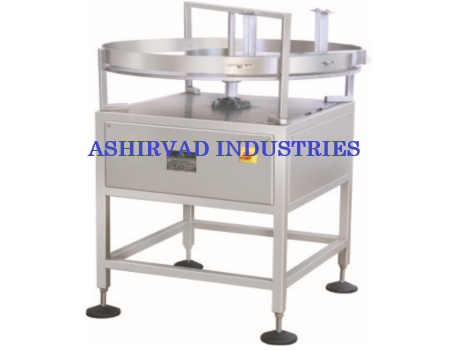 Reduction gear ensure jerk free & noise less performance & allows absolute cleanliness even inside. Production Rate Depending upon the production speed. Power Characteristics III Phase, 415 Volts / 50 Hz. Motor 0.5 HP / 1HP.